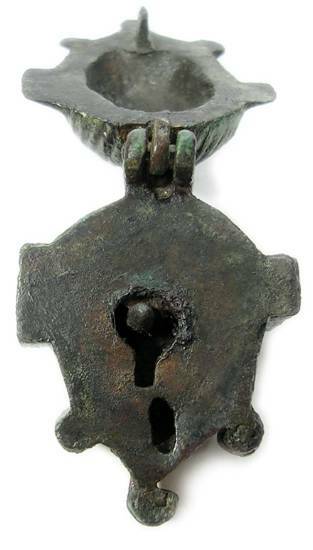 Beautifully preserved roman face padlock. 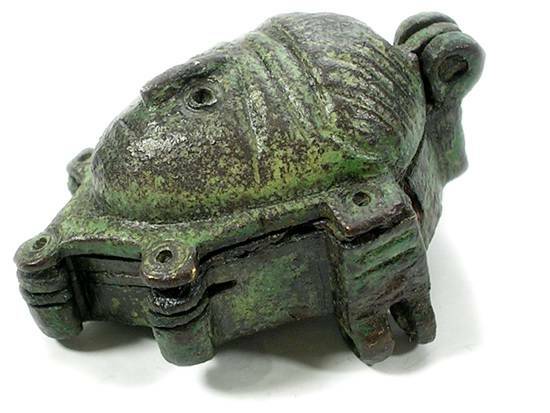 Oval form bronze lock box with hinged plate in the form of a face. The innerplate that holds the keyhole is very well intact. Most museum specimens do not normally retain this plate. The "hoop" or shackle section on the back of the lock is missing but you can see where it was originally. There is also a secret catch underneath the face plate. A lever on the side of the lock releases the catch giving access to the keyhole. The lever not operable but it can be opened with slight pressure.